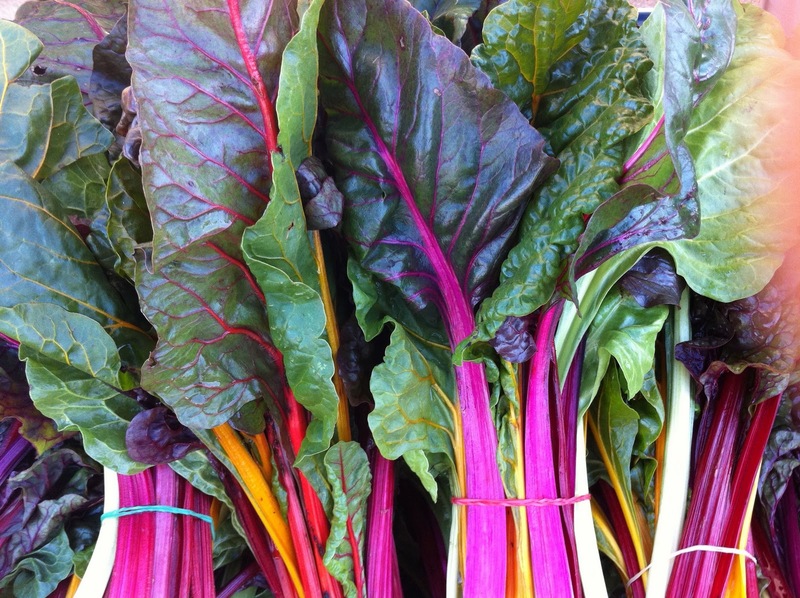 Rainbow chard is so abundant and beautiful, it's hard to ignore. It's a wealth of nutrients and cooks in a wink. I like it best braised in a little oil with lots of hot peppers then perked with vinegar. It's good frizzled in a hot oven (like kale chips) and is wonderful sliced into soups and stews. Most folks remove the stems and ribs to cook separately from the leaves. But, I find that if you chop them fine, they'll cook along with the leaves nicely in a soup or stew. Here are two very simple recipes. Eat chard. Tonight! Separate the leaves and ribs of the chard. Slice the leaves into 1-inch strips and chop the stems. Heat the oil over low in a heavy pot and stew the onion until soft, about 10 minutes. Add the garlic, chard leaves and stems, season with salt and pepper, toss then cover and cook for about 20 minutes, stirring occasionally. The leaves should turn silky. Serve with a splash of vinegar. Separate the leaves and ribs of the chard. Slice the leaves into 1/2-inch strips and chop the stems. Heat the oil in a skillet and saute the chard an stems with the pepper just to coat with the oil, cover the pan, and cook until the leaves are tender, about 5 minutes. Remove the lid and continue cooking until the pan is dry. Drizzle with a little lemon juice to taste and serve.